Exotica Valves™ manufactures a unique line of globe valves: Exotica GXL™. Globe valves are one of the most common multi-turn valves, together with gate valves. They are mostly used in services that require some degree of throttling, where the valve allows a partial flow of medium. The flow pattern in globe valves make them ideal for throttling purposes. The flow pattern which vectors at 0º, then 90º and then drops -90º allows the disc to determine the flow with relative precision, and far better than a gate, ball or plug valve. This is one of the reasons why most Control Valves are actuated globe valves, where actuation allows to determine with even greater precision the Cv of the medium flowing through the valve. Bellow seal globe valves are used in operations where leakage in chemical processing is required to be limited zero, often to Fugitive Emission standards like ISO 15848 or TA Luft. A bellow is welded onto the stem and bonnet which prevents leakage. This completely seals off the interior of the valve. One of the main operation challenges offered by globe valves is the pressure-drop between the entry and exit point. If an operation requires that pressure is maintained across the globe valve, a Y-pattern configuration can be used. The flow pattern in this valve is straight, whereas the stem and disc move in and out of the flow at a 135º angle (or a times 45º) compared to the normal 90º. Pressure seal globe valves are used in high-pressure applications. The unique design of the body-bonnet interface in pressure seal globe valves allows these two part to press against the gasket between the two as pressure rises. 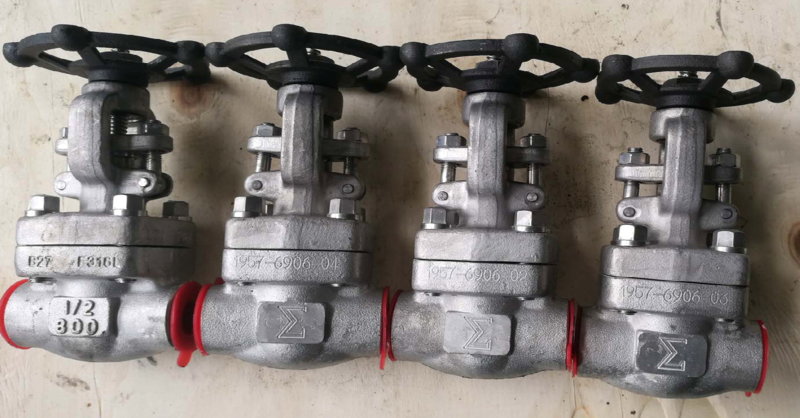 This is opposed to bolted bonnet globe valves where increasing pressure tends to separate the body and bonnet from the body-bonnet gasket, which in turn can lead to leakage.